Pantou, accessible services platform that connects enterprises and customers. 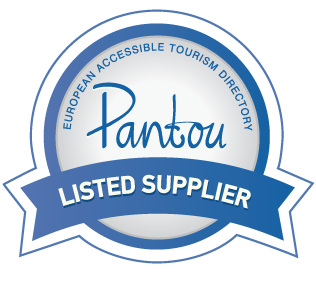 Pantou is a platform which connects providers of accessible services and tourists with special needs, and is on the internet . To be part of this platform yhe service suppliers have to make a registration. Anyone in a wheelchair, or who is blind and has a guide-dog , or any other limitation that is travelling knows from the outset that can find some sort of barrier while travelling to and from the destination or during stay. In http://www.pantou.org you can find all kind of accessible services: restaurants, lodging, transportation and other services . Pantou means, in Greek, ” everywhere ” . It is a project supported by the European Commission and aims to aggregate information about accessible services and make them available to those who need those most. This portal does not want to compete or replace the existing platforms on the market. Instead, Pantou want to work with all available regional, national and international partners in this area. ‹ PreviousPantou, plataforma de serviços acessíveis que liga empresas e clientes. Next ›Herewego, lugares acessíveis em todo o Mundo.